Each year when I arrive in San Miguel de Allende, I set my suitcases inside the door and immediately walk out into the town. Yes, the sidewalks still insist we tread single file; the Parroquia still glows pink as the sun sets; the iron benches in the Jardin still hoard the day’s warmth. But look! The giant Christmas tree has moved to Plaza Civica. From our new digs, I hear the bells of not three churches, but five. This first walk settles me in the same way that running my fingers over the spines of my books settles me: reading the titles, even thinking of them, lifts my heart into a place that is at once familiar and everlastingly new. A book is a place, as surely as a city is. We think of place now as scrap of geography, but in it oldest sense, “place” defined the boundaries of any three-dimensional object. And the place of a book is broad and deep indeed. 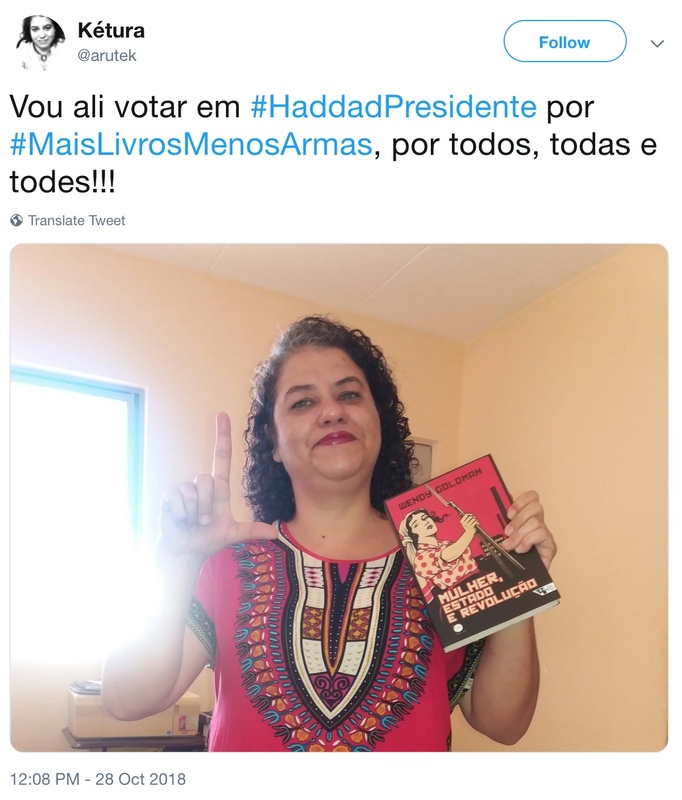 In Brazil’s first-round election on October 7, supporters of right-wing candidate Jair Bolsonaro posted images of themselves on the Internet, voting with their guns at their sides. Bolsonaro, nicknamed “Tropical Trump,” was promising to relax gun control so that “good people” could take justice into their own hands. In response, supporters of the leftist candidate, Fernando Haddad, carried books to the voting polls. The authors and titles were carefully chosen: Hannah Arendt, Simone de Beauvoir, 1984, How Democracies Die, The Importance of the Act of Reading by Brazilian Paulo Freire. In yet another dramatic swing to the right, Bolsonaro won the election in the world’s fourth-largest democracy. But the hashtags #MaisLivrosMenosArmas (More Books, Fewer Guns) and #LivroSim #ArmaNao (Books Yes, Guns No) live on—like books themselves. 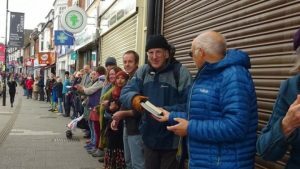 October Books refers to itself as “local, radical, and eco-friendly.” A beloved fixture in Southampton, England, it opened in 1977. It has moved several times in its 40+ years, and again, on October 29, it had to relocate, this time to a building just a few blocks down Portswood Road. 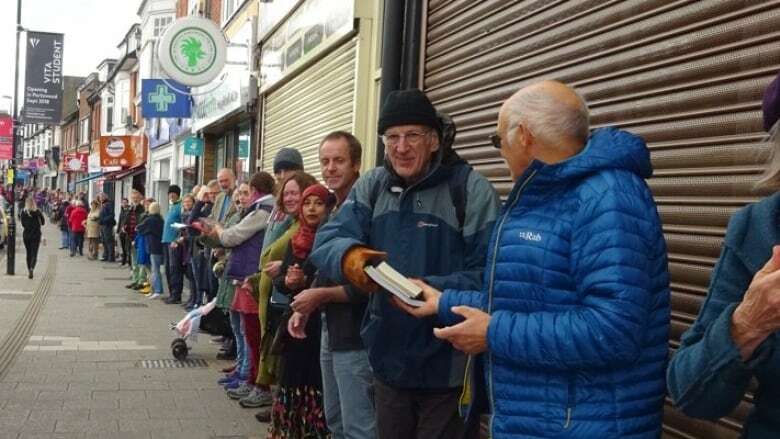 More than 200 volunteers showed up, from wee children to octagenarians, enough to make a human chain that passed 2,000 books hand-to-hand from the old store to the new. And thanks to donations and loans from its supporters, October Books was able to buy the former bank building that is the new—and permanent—home for its books. A friend of mine returned from her Thanksgiving celebrations last week in San Diego, California, to a super storm in Kansas that encased her car in ice. Her flight had been delayed, so there she was at 2 am in the airport parking lot, without an ice scraper in her carry-on. She did have books, however, including a hardcover she’d picked up at a dollar sale. It still wore the heavy plastic cover from its former life in a public library, and so she set to work cracking and chipping the ice with her new-to-her book. Not only did the book rescue her car, it survived to be read again—which goes to show that books are the cure for just about everything. Due to a series of persistent pneumonias, I had to cancel far too many of my fall appearances with my new novel Refuge. As Lorna Crozier said to me, sending a book out into the world unaccompanied feels a bit like launching it into a great wide sea in a captainless paper boat. But readers have been generous, posting reviews on Amazon and Goodreads and sending me cheering notes and interesting comments on Cass and Nang and their island dilemma. 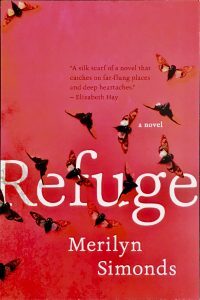 Refuge has just become available on Audible.ca, read by the marvellous, award-winning Xe Sands, who went to great lengths to find a coach for the Shan Burmese in the book. The Spanish, French, and English posed no challenge for this multi-lingual “voicer,” which is how she refers to herself and the work she does. She does not “read” the book aloud. She does not narrate it (the book already has a prose narrator.) 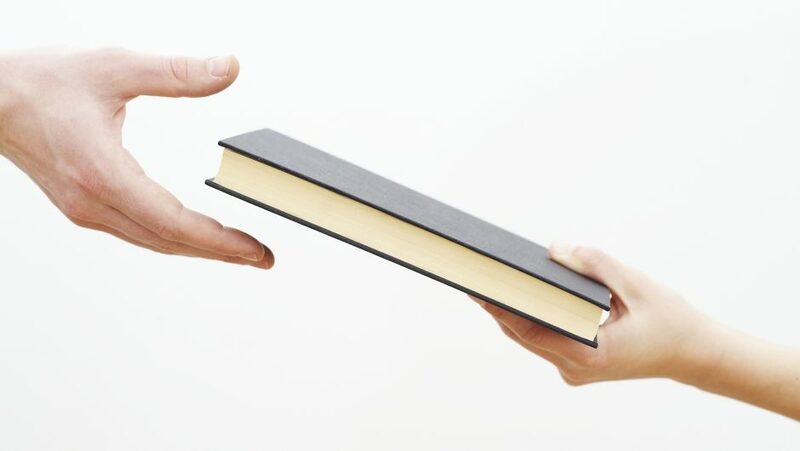 She “voices” the book—an evocative new use of this word for me. As a thank-you to my steadfast readers, I am giving away copies of the audio book. The first five subscribers who write to me will receive a promotional code they can redeem for a complimentary copy of Refuge at Audible. Winners will have to register on Amazon/Audible to redeem the code—but you don’t have to become a member. I’ll send complete instructions. 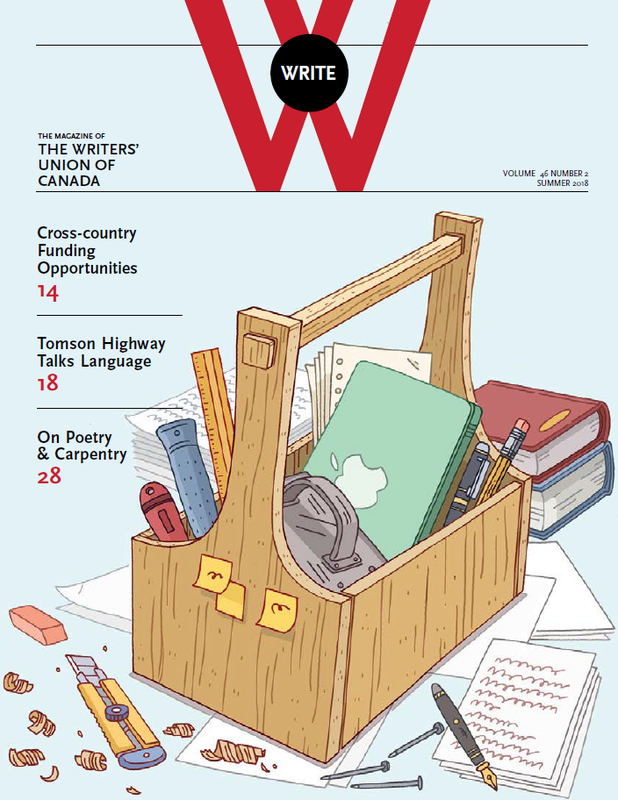 1988 was the best of times and the worst of times for writers. That year, the concept of the World Wide Web was discussed for the first time. And the first truly insidious computer virus—the 1988 Internet worm—was born. Good News! With the world turning to the right and media shouting murder and mayhem from the rooftops, I am grateful to the New York Times for sending their Good News into my inbox every week. Subscribe and feel better about your fellow humans. 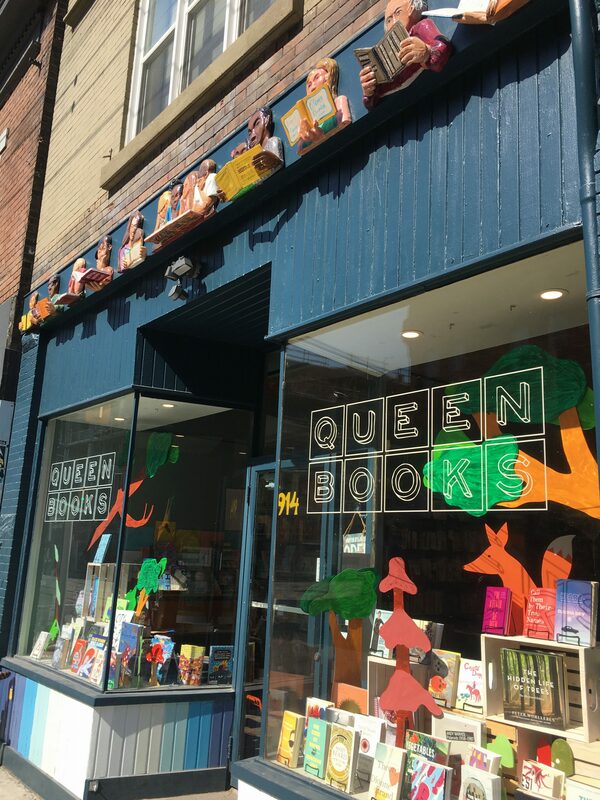 The carvings that grace the front of Queen Street Books say it all: this is a readers’ bookstore. As in many independents, the books here are hand-chosen and hand-sold—an offering that inevitably takes a big bite out of my purse. 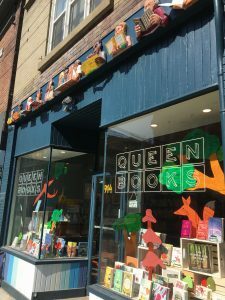 If you can’t get to Toronto’s Queen Street East, visit their website, which lists thoughtful book suggestions for every kind of reader. A final thought . . . I love Book Clubs. I am rarely in one place long enough to join one, but I love visiting them and listening in on the conversations—especially when they are about my books. I always learn something new that I didn’t know I’d put into the story. Sometimes I am able to come to a meeting in person, and sometimes I drop in by Skype or Zoom (my new favorite digital video connector). If you’d like me to visit your Book Club, just ask! I’ll do my best to join you and your reading friends. 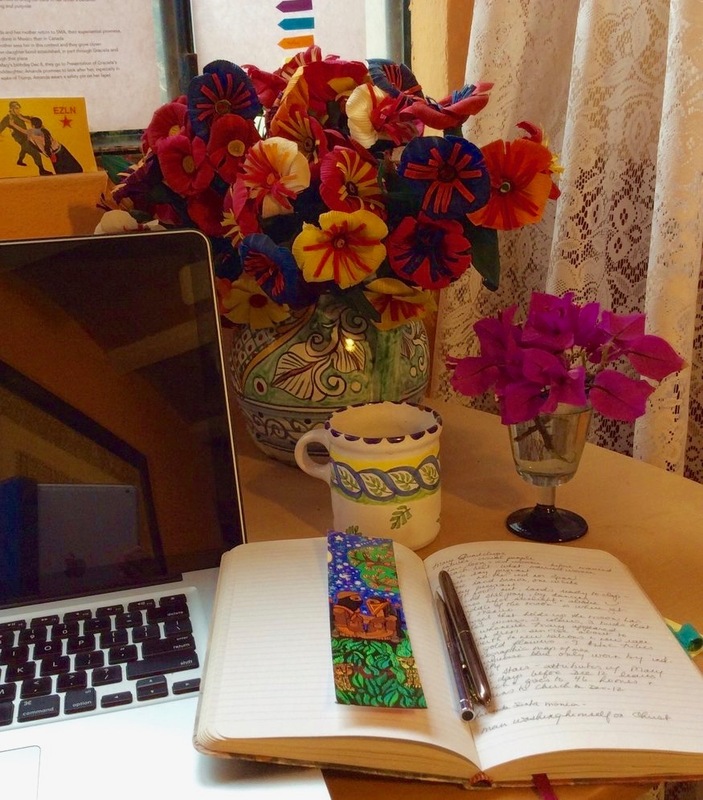 Hello Merilyn….our bookclub is doing Refuge at my request…probably in March….hope we might connect by some electronic means….hope you are enjoying the warmth and sun and that you are feeling better…. tried to email you but it bounced back….maybe a new email?